I Missed a Credit Card Payment... Now What? If you’ve missed a payment on your credit card (or line of credit) and you’re wondering how this will impact your creditworthiness down the road, this article is for you. But before we get started, if you have an overdue balance on any of your credit cards at this exact moment, go, make the minimum payment right now. Seriously, login to your internet banking and make the minimum payment. The rest can wait. Here’s the good news, if you’ve just missed a payment by a couple of days, you have nothing to worry about. Credit reporting agencies (like Equifax) only record when you have been 30, 60, and 90 days late on a payment. So, if you got busy and missed your minimum payment due date, but made the payment as soon as you realized your error, as long as you haven’t been over 30 days late, it shouldn’t show up as a blemish on your credit report. Rest easy. However, there is nothing wrong with making sure! You can always call your credit card company and let them know what happened. Let them know that you missed the payment but that you paid it as soon as you could. Keeping in contact with them is key, by giving them the call, if you have a history of timely payments, they might even go ahead and refund the interest that accumulated on the missed payment. You never know unless you ask! Now, if you’re having some cash flow issues, and you’ve been 30, 60, or 90 days late on your credit card payments, and you haven’t made the minimum payment, your creditworthiness has probably taken a hit. The best thing you can do is make all the minimum payments on all your accounts as soon as possible. Get up to date as quickly as possible, this will mitigate the damage to your credit score. 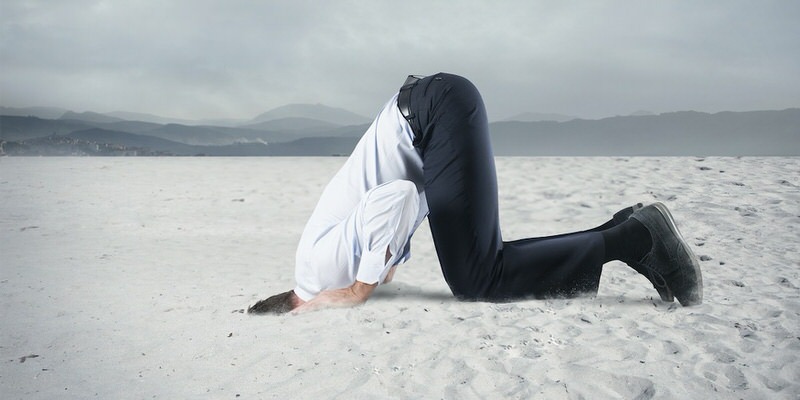 The worst thing you can do is bury your head in the sand and ignore the problem. It won’t go away. If you aren’t able to make your payments, the best plan of action is to be in regular contact with your credit card company until you can. They want to work with you! The last thing they want is radio silence on your end. If they haven’t heard from you after repeated missed payments, they might write off your balance as “bad debt” and assign it to a collection agency. This looks really bad on your credit report. As far as qualifying for a mortgage goes, obviously repeated missed payments will negatively impact your ability to get a mortgage. But once you’re back on the wagon, the more time that goes by where you make all your payments as agreed, the better your credit is going to get. It’s really all about timing. Always try to be as current as possible with your payments. So If your plan is to buy a property in the next couple of years, it’s never too early to work through your financing, especially if you’ve missed a payment or two in the last couple years. Please contact me anytime, I will look at your mortgage application and your credit report, and let you know exactly where you stand and what you steps you have to take to qualify for a mortgage. CALL TODAY to find out how I can HELP YOU SAVE. © 2019 IKnowAGuy.ca. All Rights Reserved. Each VERICO Broker is an independent owner and operator.